This is one of the best restaurant themes. 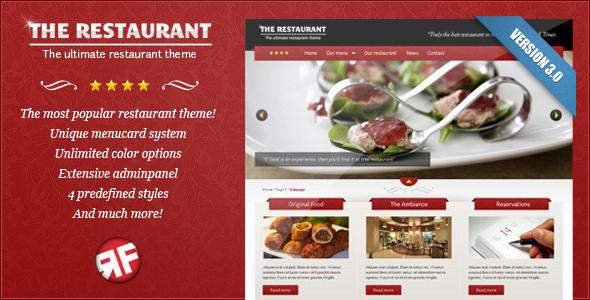 It has a unique menu-card system, unlimited color options, an extensive admin panel, and 4 predefined styles. The design on this theme is great.